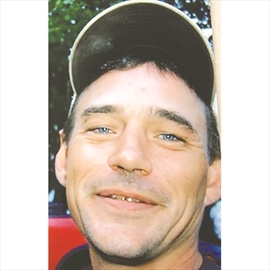 MONAHAN, Ronald Robert It is with great sadness, we announce the passing of Ron Monahan of Gravenhurst, on November 28, 2018 in his 46th year. Beloved spouse of Angela Cousins. Dear loving father of Emma Cousins. Son of Sylvia Monahan. Brother of Dave Monahan (Marnie), Angela Monahan (Kevin), Timothy Monahan (Lisa), Tammy Monahan (Regan), and many nieces and nephews. Son-In-Law of Pat Cousins and the late Fred. Brother-In-Law of Michelle Courtnage (Murray) and Lisa Handy (Robb). Uncle to (late) Katlyn Courtnage, Kris Courtnage, and Mitchell Pate. He also left behind so many other loving family and friends. Ron spent most of his childhood and teenaged years living in Peterborough, where he grew up with his family and friends and where he went to school. In 1994 he and Angela met and they moved to Muskoka. Ron was a carpenter and a master of all trades. He enjoyed spending his days in the great outdoors, four-wheeling, hunting, fishing, and loving everyday with his daughter and friends. A Celebration of Life will be held in Bracebridge at the Rotary Center on Monday, December 10th from 1-4 p.m. There will also be a second celebration of life being held in Peterborough to be announced at a later date. Memorial donations can be given on Ron's behalf to the Aspen Valley Wildlife Sanctuary in Rosseau or the Manna Food Bank.